Faux fur coats are a closet staple for winter and this year the trend wants us to turn into a sweet teddy bear. 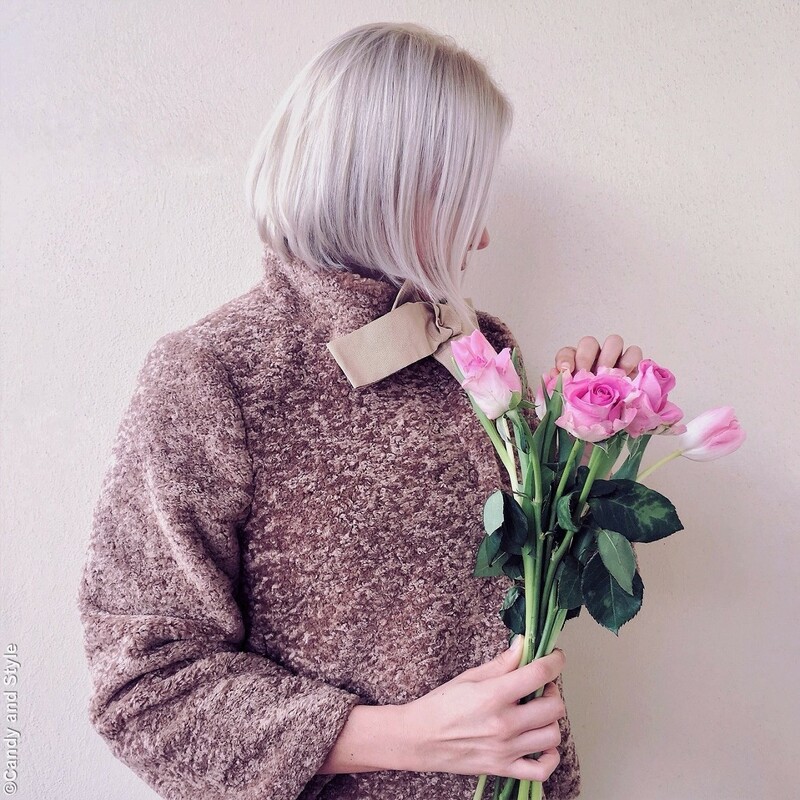 Cuddly, fluffy and super soft, the teddy coat keeps you warm and cozy in the cold; it's the ideal jacket to wear with any outfit, any style and in any moment of the day, morning or night, you can't get wrong with it. I do personally love to match my teddy coat with faux leather leggings and comfy sneakers, I like the contrast of a romantic and girly look with edgy vibes. What's your go-to winter coat? Il primo teddy coat che trovo bello davvero, brava ! Per questo inverno io e il mio Teddy siamo diventati inseparabili... bellissimo il cappotto!!! Your teddy coat looks so stylish and warm. Definitely perfect for winter, Those are lovely pink roses.